Love sent from the Berry Pilgrims to Miss Martha Berry and a line saying that they cherish the school and are full of admiration and love for Martha. 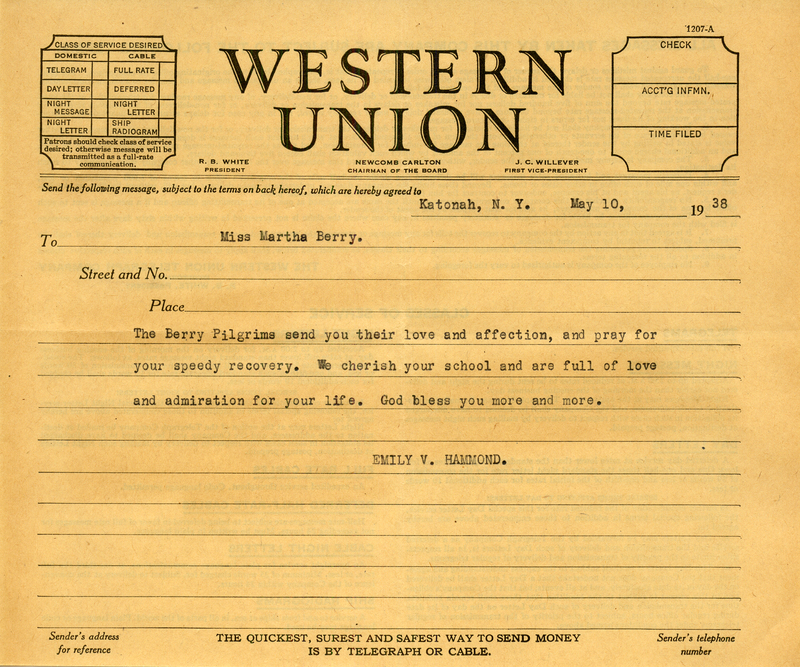 Emily V. Hammond, “Telegram to Miss Martha Berry from Emily V. Hammond.” Martha Berry Digital Archive. Eds. Schlitz, Stephanie A., Jessica Hornbuckle, Camille Hanner, et al. 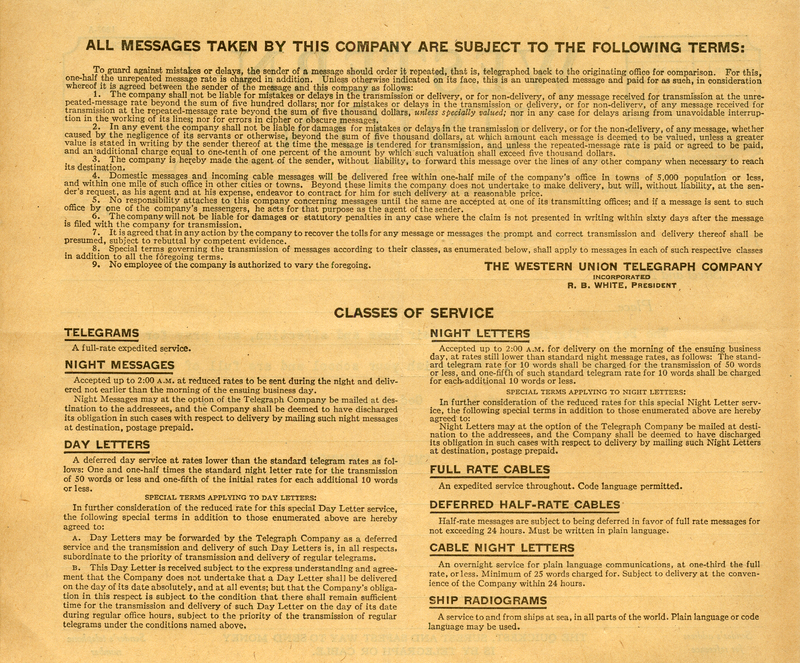 Mount Berry: Berry College, 2016. accessed April 20, 2019, https://mbda.berry.edu/items/show/14329.